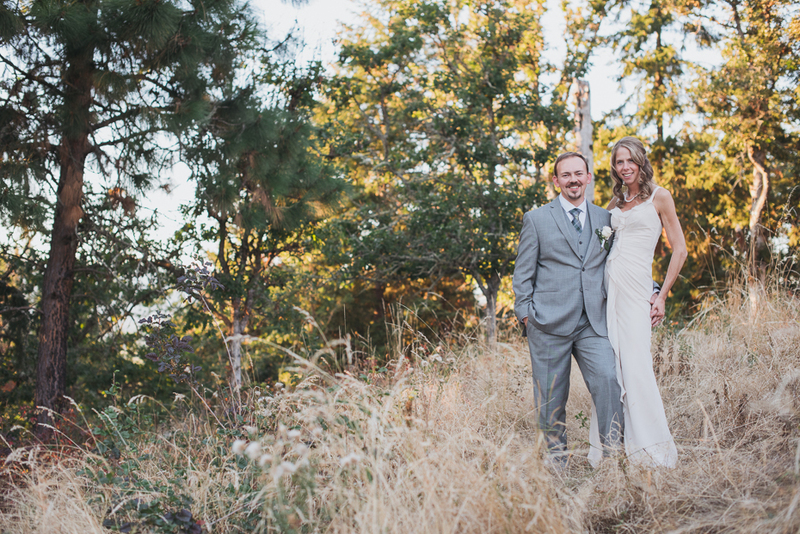 Yes, Brandon & Stephanie chose a stunning venue for their wedding (Mt. Hood Organic Farms is one of our favorites); yes, nearly every detail was lovingly thought out and designed by the couple; and yes, the food was amazing (more on that later). 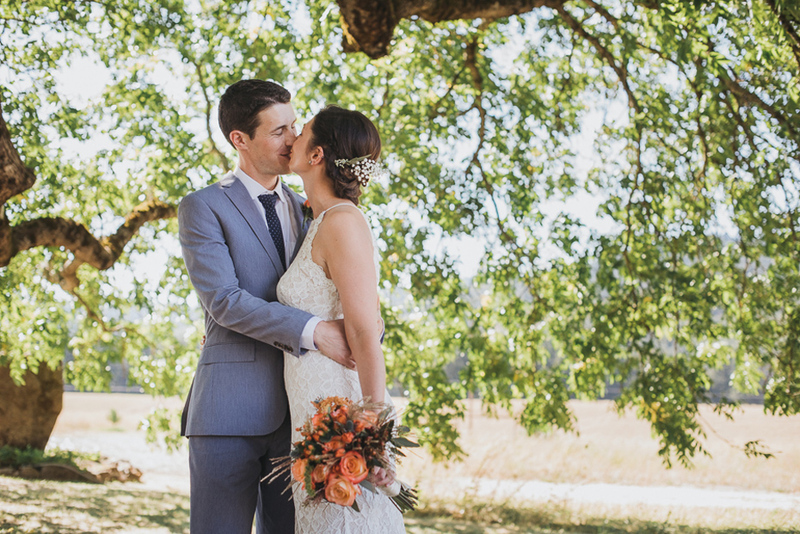 Despite these things, the most memorable part of this wedding was the pure joy that emanated from this couple the entire day–infusing every inch of their ceremony and celebration with a palpable enthusiasm. We see grooms shed a tear or two now and then, but it was really touching to see the tears welling up in Brandon’s eyes while he was hanging out with his groomsmen, well before the ceremony and seeing his bride. Back to the food. Mt. 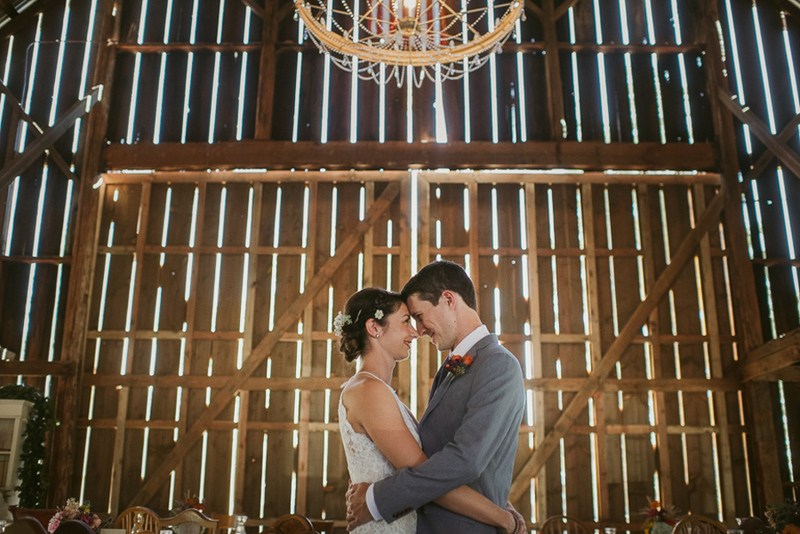 Hood Organic Farms prides itself on preparing delicious fresh, local foods yet this wedding took that locavore concept one step further. 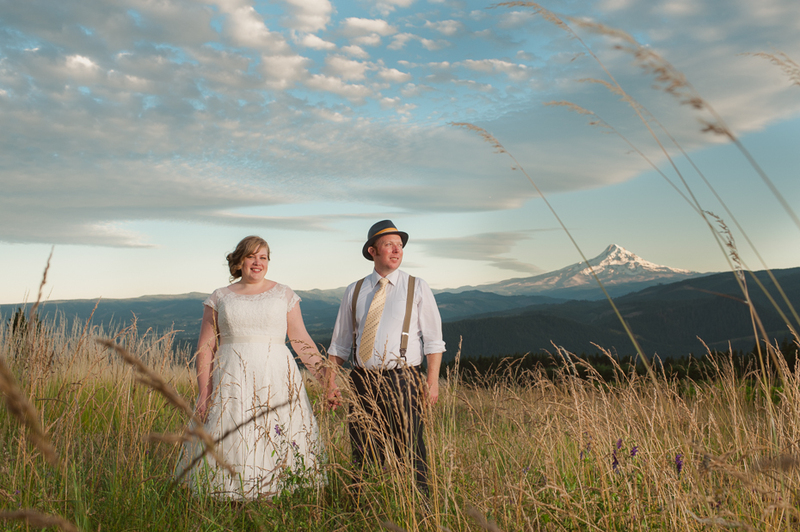 The bride and groom grew nearly all the fruits & vegetables on the menu on their small farm outside Portland. 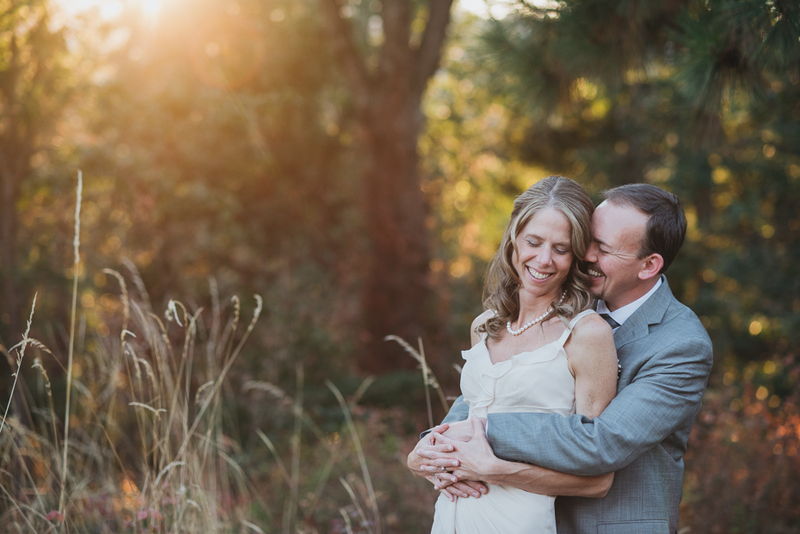 We had the opportunity to meet them there for a photo session earlier in the Summer, and it was awesome to see all their hard work savored by their close friends and family. 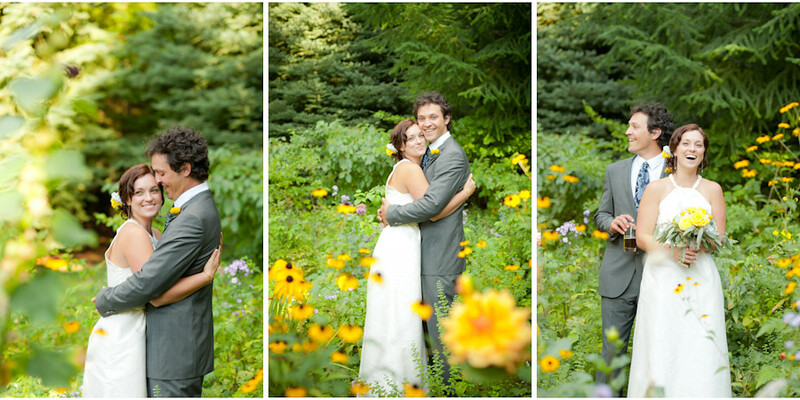 I could go on about how much we enjoyed shooting this wedding, but will let the photos tell the rest of the story . 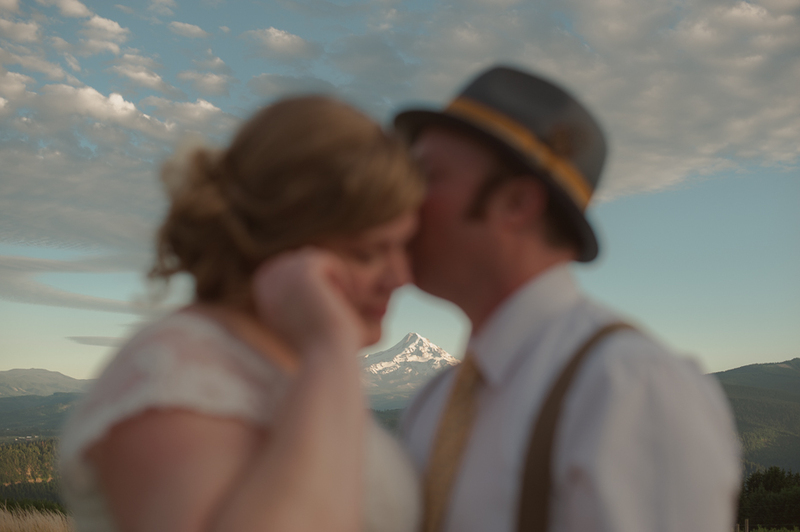 . .
Friends & family from around the country convened in the Columbia River Gorge to celebrate the marriage of Scott & Margi! 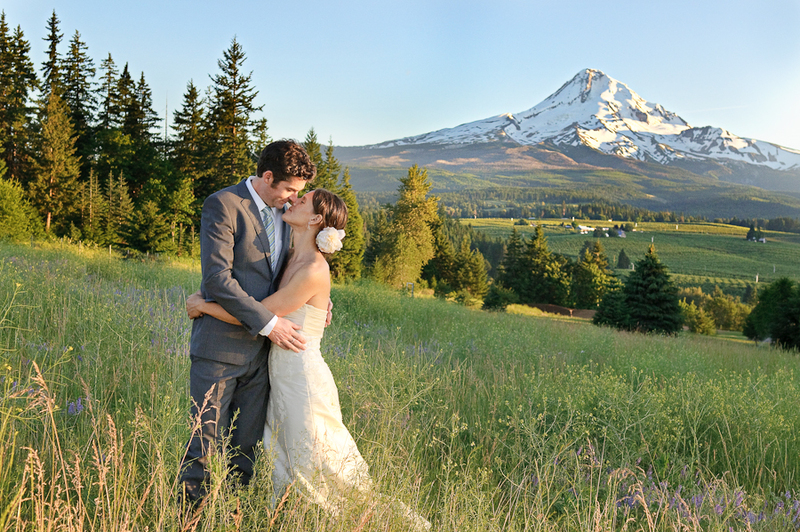 Their wedding and celebration took place at Mt. 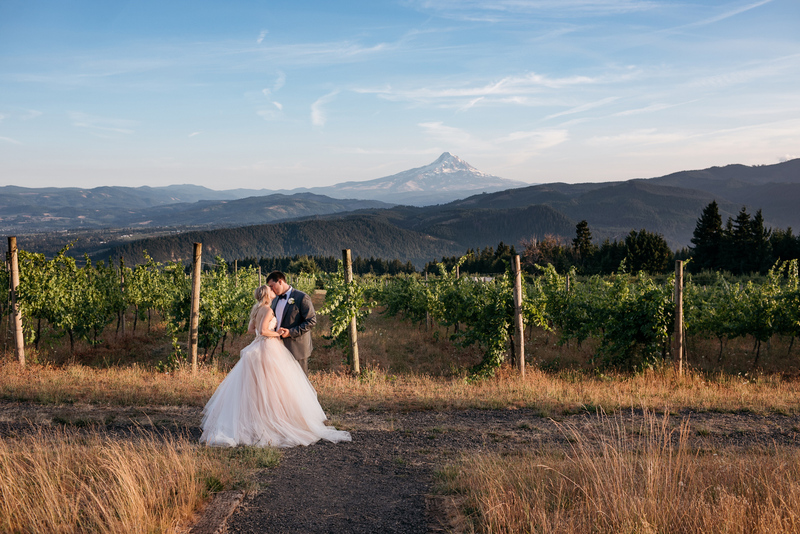 Hood Organic Farms, a beautiful venue in the heart of one of our favorite locations in the state–the upper Hood River Valley! 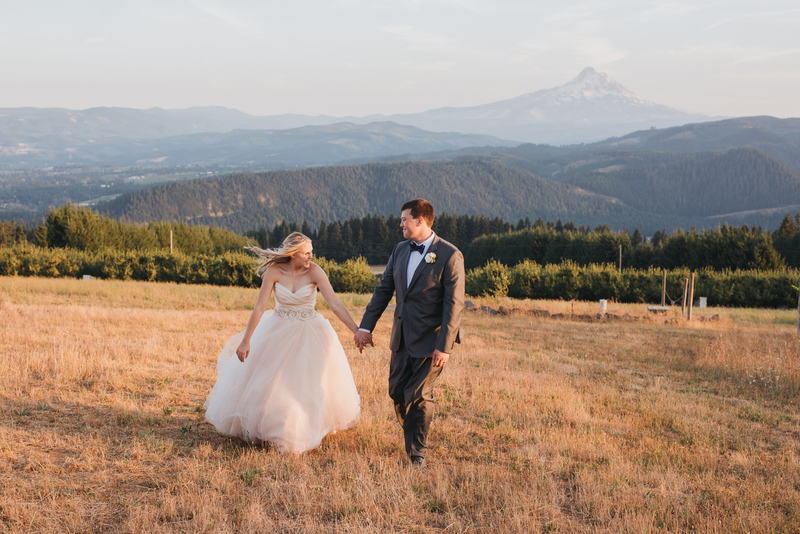 Many of the details from their day highlight the very best of Oregon and say a lot about this couple’s commitment to environmental sustainability in both their personal and professional lives. There were many local & regional touches planned into the day that we are excited to share! The delicious locavore dinner included loads of summer goodness from small farms in the area, and many of the flowers were harvested from the venue itself. Scott even brewed up 4 different batches of beer for the occasion! 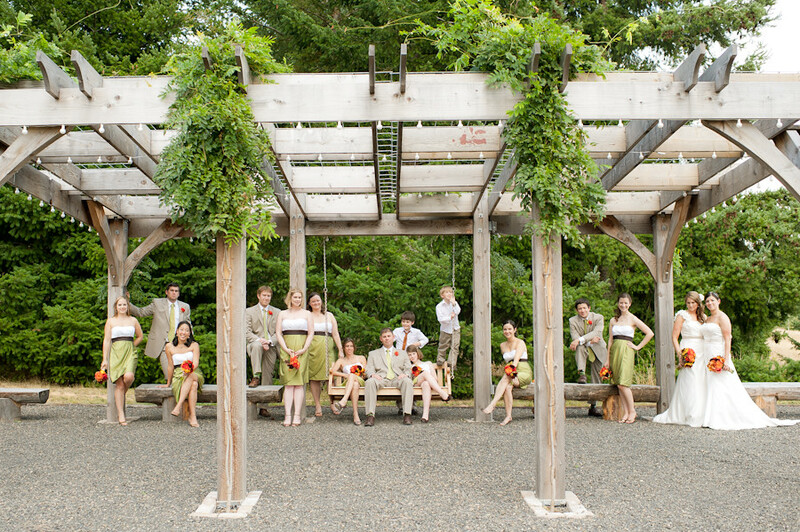 For favors, the couple picked three of their favorite environmental charities and supplied rustic wood tokens to represent donations made in their guests’ honor. 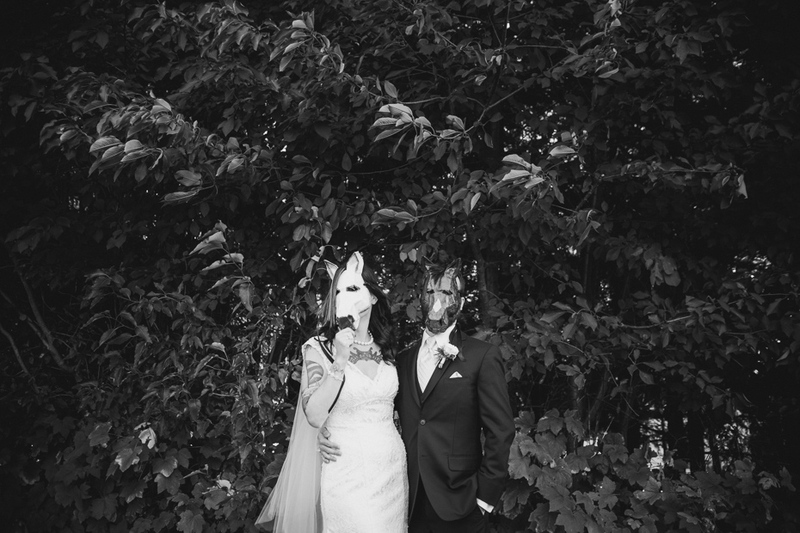 To top it all off, they had one of the most original and awesome “guestbooks” we have ever seen! 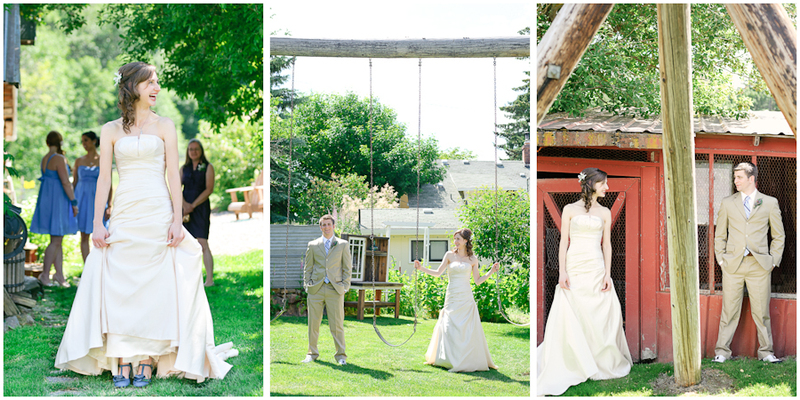 Have you ever signed a pair of antique skis at a wedding!? 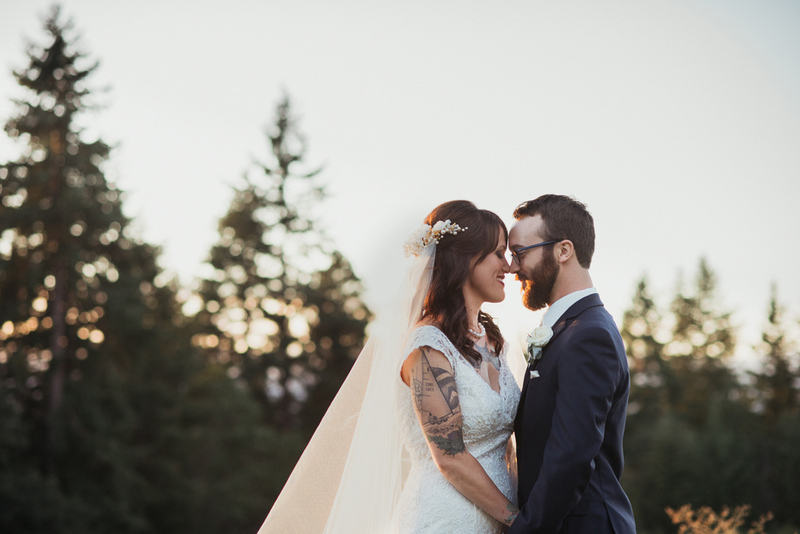 We were so honored to be able to capture this special wedding, and we hope you enjoy the images as much as we loved making them!